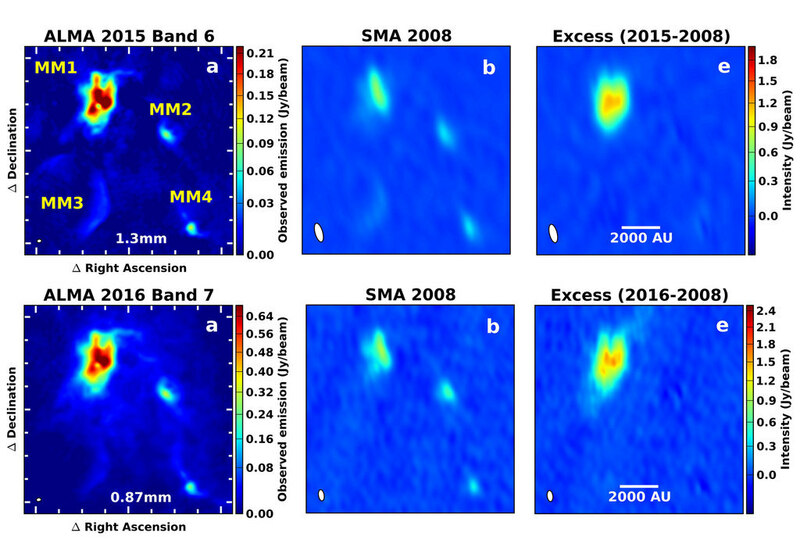 Comparing observations by two different millimeter-wavelength telescopes, ALMA and the SMA, astronomers noted a massive outburst in a star-forming cloud. 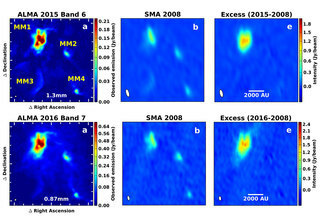 Because the ALMA images are more sensitive and show finer detail, it was possible to use them to simulate what the SMA could have seen in 2015 and 2016. By subtracting the earlier SMA images from the simulated images, astronomers could see that a significant change had taken place in MM1 while the other three millimeter sources (MM2, MM3, and MM4) are unchanged.